The new report by Zion Market Research on the “Synthetic Resins Market — Japan and South Korea Industry Analysis, Size, Share, Growth, Trends, and Forecast, 2017 – 2025" has vast information about the market and its potential. The Japan and South Korea synthetic resins market was valued more than USD 50 billion in the year 2016 and it is expected to reach more than USD 67 billion by 2025. The Japan and South Korea synthetic resins market is expected to exhibit a CAGR of more than 3% between 2017 and 2025. In 2016, more than 31 million tons of synthetic resins were consumed in Japan and South Korea. Increasing demand for sustainable (recycling) and fast-curing materials, growing demand for lightweight components to address stringent regulations, and increasing penetration of composite materials for replacing metals are major factors driving the growth of the market. Lightweight components are in huge demand in various end-user industries such as manufacturing sector since regulatory taxes and duties could be prevented if the weight of finished products is kept under specified limits. Since most of these lightweight components are manufactured with synthetic resins as raw material, the demand for synthetic resins is expected to grow during the forecast period. Similarly, metals are increasingly getting replaced with plastics and composite materials to save cost and reduce weight. This is also expected to boost the demand for synthetic resins in Japan and South Korea. Our research analysts observed that there would be an anticipated rise in the demand for synthetic resins owing to increasing demand from automotive industry for composite and lightweight materials. As the automotive industry is growing at a brisk pace coupled with the exponential growth of EVs, the demand for synthetic resins in automotive manufacturing is expected to rise in the coming years in both these countries. The Japan and South Korea synthetic resins market is segmented on the basis of product type, application, and countries. In the product type segment, thermoplastic resins held the majority of the market shares. Thermoplastic resins offer numerous advantages such as high recyclability, high-impact resistance, reshaping capabilities, chemical resistance, aesthetically superior finishes, hard crystalline or rubbery surface options, and eco-friendly manufacturing process over thermoset resins. This type of resins is widely used in construction, automotive, electronics, and other end-user industries owing to their peculiar characteristics. Thermoplastics are processed using various methods such as injection molding, extrusion, and thermoforming, among others. Some of the common thermoplastic materials include polypropylene, PVC, polycarbonate, and nylon, among others. The demand for the thermoplastic resins was more than 25 million tons and contributed for more than 80% share of Japan and South Korea synthetic resins market in 2016. However, thermoset resins are expected to grow at the fastest rate during the forecast period since it is in a liquid state at room temperature which eases reinforcing process and addition of additives for various desired applications. Its property to be uncured liquid at room temperature allows for convenient impregnation of reinforcing fibers such as fiberglass, carbon fiber, and Kevlar, among others. Some of the common thermoset resins include polyester resin, vinyl ester resin, epoxy, phenolic, and urethane, among others. On the basis of application, the packaging segment is dominating the Japan and South Korea synthetic resins market. Packaging products are mostly made from thermosetting resins such as phenolic & epoxy resins as well as from thermoplastics such as polypropylene among others. Increasing packaging requirements for consumer goods, electronics, and durables among various other goods and products have boosted the demand for synthetic resins in a packaging application. The automotive and electronics applications are expected to grow at leading rates of more than 3% respectively during the forecast period owing to increasing adoption of synthetic resins in manufacturing processes of these end-user industries as well as the rapid growth of these industries in both these countries. The market is progressing at a rapid pace in both the countries. Currently, the major share for the synthetic resins market is contributed by Japan. Japan dominates the Japan and South Korea synthetic resins market which is followed by South Korea. 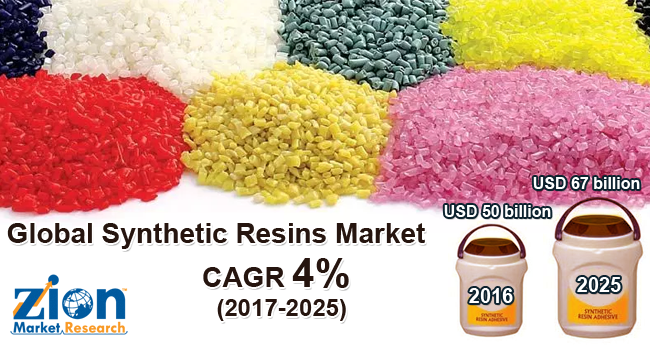 The active presence and increasing number of manufacturing industries such as automotive and electronics among others are expected to drive synthetic resins market in Japan during the forecast period. Thermoplastic resins dominate the Japan synthetic resins market. South Korea contributed more than USD 20 billion in 2016 and is expected to grow at a CAGR of more than 3% during the forecast period. The major players in the Japan and South Korea synthetic resins market are Huntsman International LLC, MCC Chemicals, Inc., UPC Technology Corporation, Bayer AG, DSM, Assa Abloy AB, Akolite Synthetic Resins, Sinopec Corporation, Formosa Plastics Group, Purolite, Kansai Paint Co., Ltd., Lawter, Inc., D.S.V Chemicals, RÜTGERS Group, The Dow Chemical Company, NAN YA PLASTICS Corporation, Momentive, KUKDO CHEMICAL. Co. Ltd., Gellner Industrial, LLC, Synresins Ltd., Chang Chun Group, and BASF SE, among others.